The stone masons of Europe's middle ages organized themselves into guilds (associations, much like today's "lodge") where the elder, or Master Masons, taught Apprentices the valuable knowledge of their craft. After seven years of instruction, the Apprentice then graduated to Fellowcraft status, which permitted them to take on more responsibility and work more independently, but still under the direction and guidance of the Masters. The secrets transmitted when one associated with a lodge for for long enough, permitted him to travel to foreign countries and be recognized as one who could be trusted to have a proper understanding of his craft, and hence to be entrusted with work wherever he may be. Kind of like a secret handshake, but the recognition had more to do with skill and ability than any external sign which one might pick up in a matter of minutes. Thus were the masons came to be known as "free and accepted" masons -because they were free to travel and be accepted as masons anywhere they went. The stonemasons practiced what we now call "operative" masonry; today's Freemasons practice "speculative" masonry. 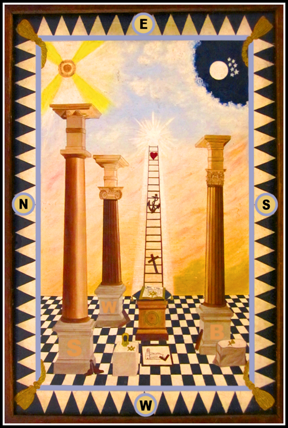 Speculative masonry uses the tools and symbols from operative masonry to imprint on the mind serious and solemn truths that can teach a man to be a better employer, employee, husband, father, and brother -irrespective of his social position or status. Operative masons improved themselves in the craft of stonemasonry; speculative masons improve themselves in their craft of upright living. To be better, stronger, and wiser is our aim; and as a result, we become happier.